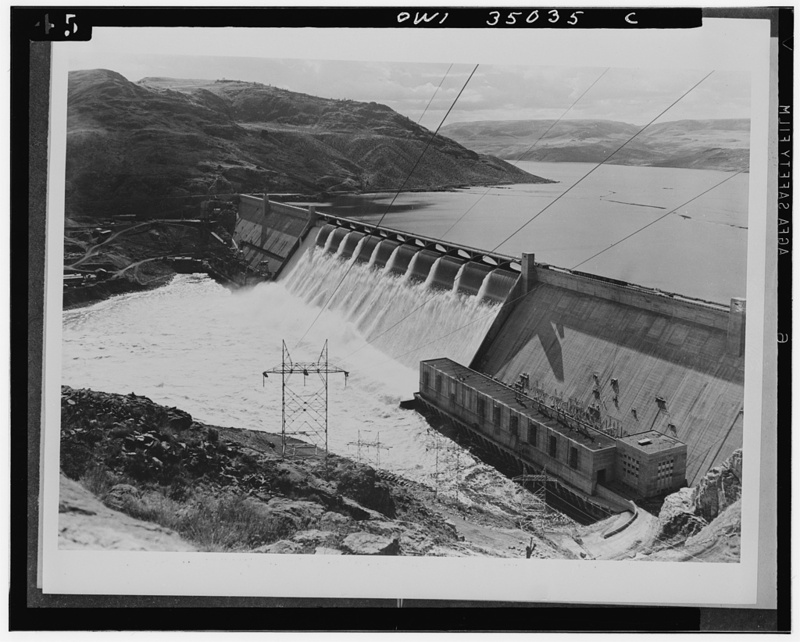 The Grand Coulee dam (118.982W 47.965N) had just been completed and was beginning to generate power in 1941. 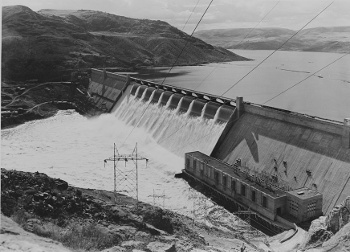 The largest concrete structure in the world, it stretched nearly a mile across the Columbia River, and was finished by industrialist Henry Kaiser (who later turned his genius to shipbuilding) two years ahead of schedule. The cheap electrical power it could supply helped drive the development of the aircraft industry in the Pacific Northwest. Power capacity was 864,000 kW in 1941, and eight more 108,000 kW generators were scheduled to be brought online by 1946. This would constitute fully 12% of American generating capacity. The dam also served to divert water to farmers in arid eastern Washington State.